Better known as Rosario Islands, the Corales del Rosario and San Bernardo National Natural Park is a protected area that is located on the Caribbean coast of Colombia, comprising a large marine area off the coast of the departments of Bolívar and Sucre, occupying an approximate area of 120,000 hectares in the jurisdiction of the Tourist and Cultural District (D.T. y C.).) of Cartagena de Indias. 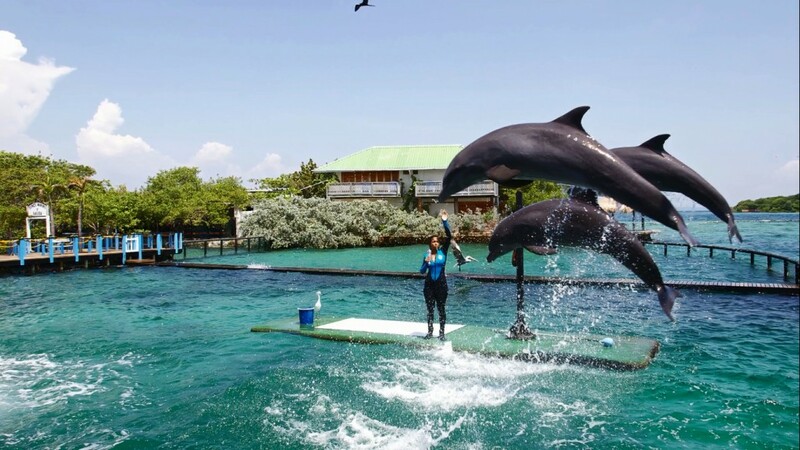 The Park begins 23 km south of the city of Cartagena de Indias in the sector of Punta Gigante on Baru Island and in the south zone, is in the Bajo Sotavento in the sector of the San Bernardo Archipelago 35 km northeast of the city of Santiago de Tolú. The Corales del Rosario and San Bernardo National Natural Park is a valuable underwater complex of the highest productivity and biodiversity ecosystems, forming the largest coral platform of the Colombian continental Caribbean (about 420 km2). There are the most important continental reef formations in the country, unique samples of mangrove coastal forests, extensive seagrasses bordering the islands, diversity of invertebrates and multitude of multicolored reef fish. is the habitat of fish and invertebrates of commercial value, has beautiful and attractive landscapes that promotes ecotourism allowing the socio-cultural development of the communities settled in the area of influence, enables education and environmental awareness, provides the opportunity for research in marine science. Carry identity documents and current medical insurance. Vaccinate against yellow fever ten days before your trip and carry your current vaccination card. For safety it is important that officials, boat pilots, environmental interpreters and guides are authorized to carry out the activity. They can request the identification card. High volumes of sound are forbidden as this is a place of peace and tranquility to the delight of all. Do not collect or buy biological material such as snail shells, starfish or coral fragments, this is forbidden. Do not allow toxic waste, such as gasoline or oil, to be dumped into the water. Please comply with the observations and suggestions of the Park officials and the personnel in charge of operating the eco-tourism services.